General Cable - one company with the broadest product and global reach in the wire and cable industry. It’s a power, built upon diverse resources, that serves a global market. It’s about new technologies sketched on all four hemispheres. And no matter where you are, we’ve got you wired. Serving commercial, industrial, electric utility, telecommunications, OEM, military/government, retail, electrical and communications distributor customers worldwide, General Cable and our 14,000 associates conduct business in 57 manufacturing locations in 26 countries, with sales representation around the globe. General Cable can offer a world presence that is aligned with our customers’ ever-changing sets of needs. 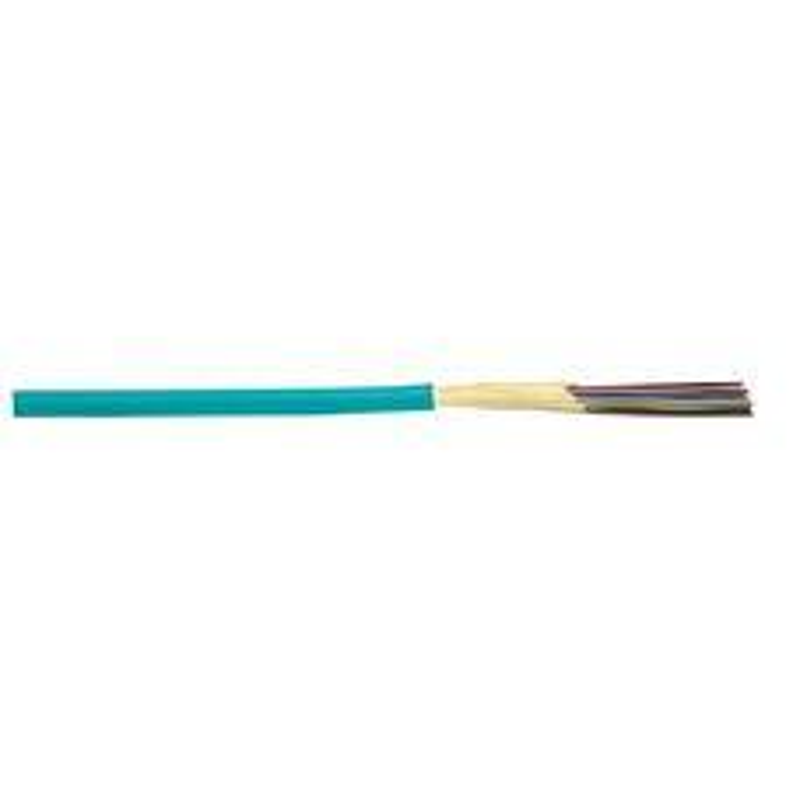 General Cable is a global leader in the development, design, manufacture, marketing and distribution of copper, aluminum and fiber optic wire and cable products for the energy, industrial, specialty and communications markets around the world. 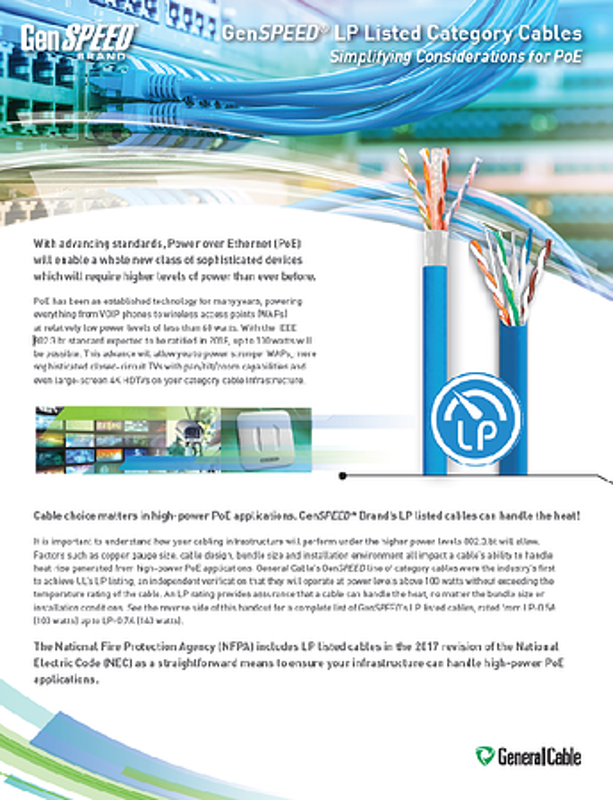 With advancing standards, Power over Ethernet (PoE) will enable a whole new class of sophisticated devices which will require higher levels of power than ever before. PoE has been an established technology for many years, powering everything from VOIP phones to wireless access points (WAPs) at relatively low power levels of less than 60 watts. With the IEEE 802.3.bt standard expected to be ratified in 2018, up to 100 watts will be possible. This advance will allow you to power stronger WAPs, more sophisticated closed-circuit TVs with pan/tilt/zoom capabilities and even large screen 4K HDTVs on your category cable infrastructure. Cable choice matters in high-power PoE applications. 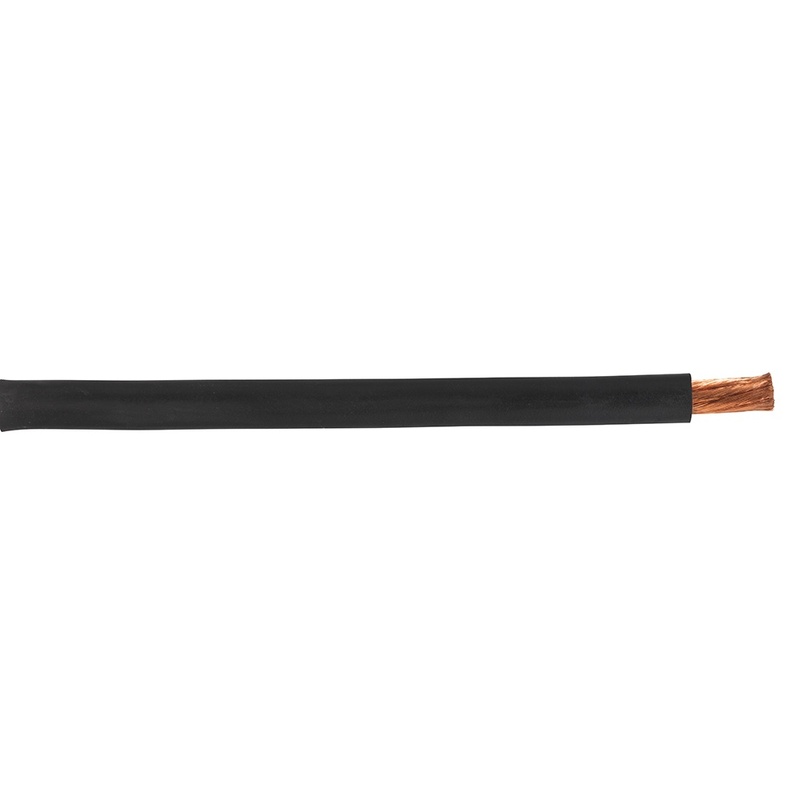 GenSPEED® Brand’s LP listed cables can handle the heat! 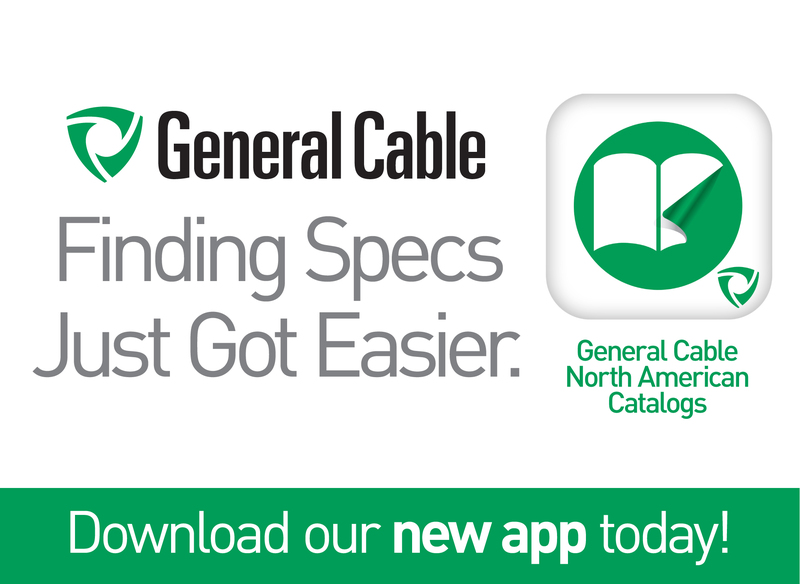 Download General Cable's NEW Mobile Calculation App!